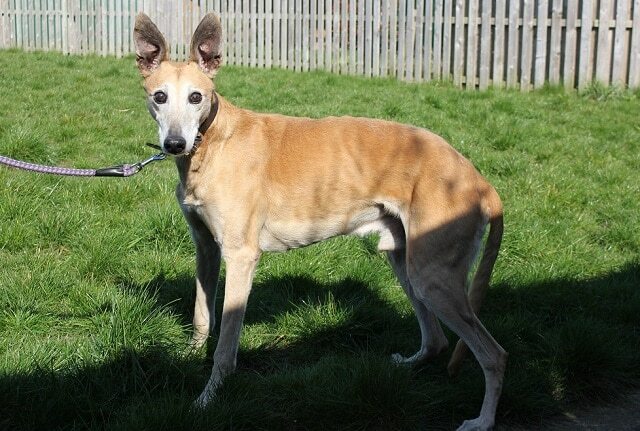 Gentle soul Alfie is a 10-year-old Lurcher who sadly needs a new home as he is terrified of the young grandchild that regularly visits his current home. He is so fearful that he runs away, toilets himself and cowers/hides. Due to this, the grandchild is not visiting often at the moment, but the situation cannot continue for long. Alfie is on Freshfields Animal Rescue‘s waiting list, but is still in his home while a place becomes available. If you could offer him a home now, it would save him the extra stress of going into kennels. Due to Alfie’s fear of young children, he must have an adult-only home, free from visiting children, and with no children planned for the future. Alfie is a beautiful, sweet-natured older gentleman who would be best suited to a quiet home, preferably with a retired person or couple. He has lived in his current home for around 6 years, after his previous owner passed away – it was believed that this owner rescued him from a traveller camp where he was not treated very well. Alfie currently lives with two female dogs and is good with other dogs on walks. If he is to live with another dog, Freshfields feel he would be best suited to older dogs, as youngsters may prove too much for him. Due to his breed and not knowing his full history, he won’t be rehomed to live with tiny breed dogs, however he has never harmed any small animals and does not seem to have a strong chase instinct. He has not had much interaction with cats so he needs a cat-free home. Big-brown-eyed Alfie is very affectionate and he loves to be fussed over. He is not a demanding dog and he is fairly laid-back; he rarely barks – even when there is a knock at the door! He is clean and non-destructive in the home and should be okay to be left alone for a few hours. He travels well in the car and is fine being seen by a vet. He is in really good health for his age but has had several dental treatments in the past so does have some teeth missing. Could you offer Alfie the quiet, child-free home that he needs, so that he can relax and enjoy life once again? 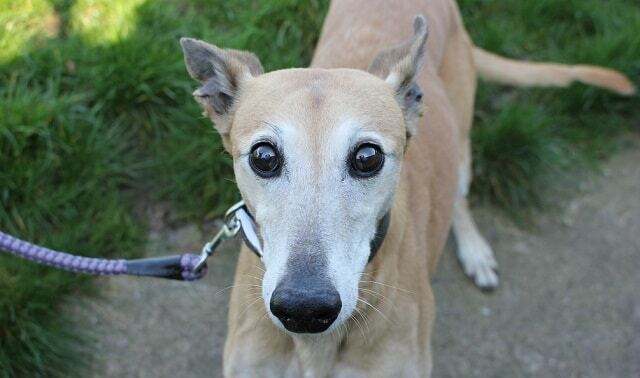 Alfie is not at Freshfields kennels, so you need to phone them first to arrange an appointment to meet him.